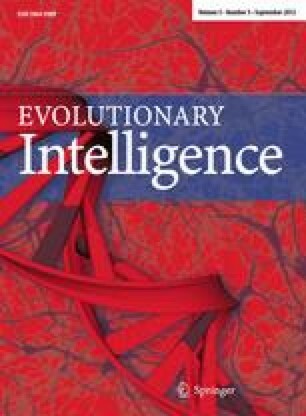 It is a great irony to be criticized in a journal with the adventurous title of “Evolutionary Intelligence” for using the terms “‘cognitive’, ‘sentient’ and ‘thoughtful,’” as Pauline Hogeweg did in her review. I myself, by the way, never used the term “thoughtful.” It appeared in a quotation from Barbara McClintock’s fascinating and instructive 1983 Nobel Prize lecture (the text is at http://www.nobelprize.org/nobel_prizes/medicine/laureates/1983/, and my take on it can be found at http://www.huffingtonpost.com/james-a-shapiro/barbara-mcclintock_b_1223618.html). Pauline accuses me of using “suggestive language.” However, I described exactly what I meant by cognition (=action based on knowledge acquired through sensing), and Part I of the book provides precise molecular descriptions of the sensory cell systems used to acquire that knowledge by bacteria, yeast and mammalian cells. I think this manner of proceeding deserves the term “explicit” rather than “suggestive,” even from someone who may disagree with the substance of my argument. Pauline also complains that my terminology does not “set a clear research agenda.” Her statement notwithstanding, I explained how “intelligent application of such molecular mechanisms [is today not] outside the boundaries of contemporary biology” (pp. 136–137). Moreover, I outlined two complementary experimental approaches to test the possibilities of heuristic guidance for genome restructurings (pp. 137–138), clearly a subject relevant to readers of this journal. When discussing why contemporary evolutionists still cling to a random error-based mutation model, despite overwhelming molecular evidence to the contrary, I argued that the real objections to a more informatic (and therefore more informed) approach to evolutionary change are philosophical (pp. 138–139). I expected that readers of “Evolutionary Intelligence” would appreciate learning about the molecular basis for a cognitive take on evolutionary processes. Pauline evidently shares the neo-Darwinist philosophy. At the end of her review she makes this perspective explicit: “This [i.e., existing accomplishment in evolutionary computation] is just a beginning, but it shows we are still far from understanding what the basic paradigm of ‘random mutation selection’ can do.” What she says is undoubtedly true, but it is also possible that other paradigms may accomplish even more. I wish she had appreciated an attempt to formulate one with greater enthusiasm.